We're not at all trying to be secretive about that question, but there's a lot of exciting stuff happening on that front, and we'll be better equipped to give you some news in a little while, we think. The large vessel pictured here is my temporary residence in Monrovia. 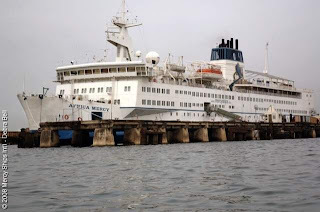 This enormous hospital boat is docked here in the country of Liberia for a couple of months and is run by Mercyships. I am here for 3 weeks doing surgery (mainly hernia repairs). The six operating rooms on board are shockingly well-equipped, and the amenities are fabulous - we even have air conditioning. The boat is so large that I sometimes forget that I am even on a boat, until I look out and see the horizon bobbing up and down. One highlight thus far has been experiencing the community life on the boat. Eating, working, worshiping, playing, and interacting with the same 400 people from dozens of countries creates a very unique environment on board. Despite the diversity and rapid turnover of short term personnel, relationships are rich and the hospital care is of a very high quality. I'm looking forward to 2 more great weeks. 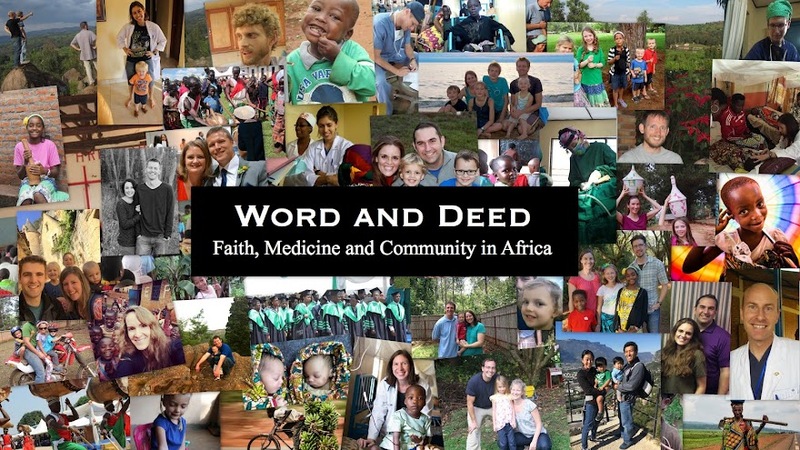 As of yesterday, we received word from Scott Reichenbach, director of the Post-Residency Training Program for World Medical Mission, that all of us have been accepted as fellows into their program, for the two year term starting next fall (2009). We will be posting more in the next few days regarding this development, regarding more specifics of the program, as well as what this means for location, which is always everyone's big question (ourselves not excluded). For the time being, we'll say that we are all very excited, because (1) this was our preferred path for starting out on this road to African medicine, and (2) that after many months of plans and discussions, we are taking a large step forward together.